This visit is now fully booked. New events and visits will be listed on the website in the New Year! We had planned a visit to the historic Whitechapel Bell Foundry, whose history began in the reign of Elizabeth I, for next autumn. However, we have just heard that the company will shortly close the premises in east London that it has occupied since 1738. We have been offered this date in February instead. Possibly England’s oldest limited company, the foundry’s bells have rung out around the world. They include Big Ben, the largest bell ever cast by the firm, as well as the 1752 Philadelphia Liberty Bell, the bells of the Armenian church in Chennai, south India, the Bell of Hope that commemorates victims of the 9/11 attack and innumerable bells in the village churches of England. On our visit, guided by the managing director, we will discover the materials and techniques of casting bells in bronze and be surrounded by medieval examples undergoing restoration. We will also be able to handle the very popular handbells which the company export throughout the world. The programme and booking form for forthcoming RFS events are now available in the latest edition of the Newsletter and online on the Events page. The main Autumn event is a tour of the London Charterhouse. In addition, the Tools and Trades Society have invited RFS members to join them at a Technical Day at the Kelham Island Museum and Ken Hawley Collection Trust in Sheffield – further details here. Members will be interested to hear about an exhibition of the largest collection of Lincolnshire windsor and rush-seated chairs to be held at Belton House this September. This will be a fascinating chance to learn about fine local chair-making and the best local craftsmanship, with several talks by William Sergeant from the Lincolnshire Chair Museum. There will be free entrance on Saturday 10th September to coincide with the National Heritage Open Day. The Regional Furniture Society events for Spring-Summer 2016, in London, Yorkshire, Cumbria and Lincolnshire are now available to view on the up-dated Events page. Booking forms are also now available online for 1 day events and the 2016 AGM and Conference weekend. There are two new events on the schedule for this Autumn. Visits have been arranged to Browsholme Hall and Stonyhurst College, both Grade I listed halls dating predominantly from the Elizabethan era. An optional visit to another North West property will be arranged for the morning of Saturday 17th, if there is interest. The cost will be £35 to include coffee and light lunch; if there is sufficient interest an additional visit will be arranged to another local property on the Saturday morning. 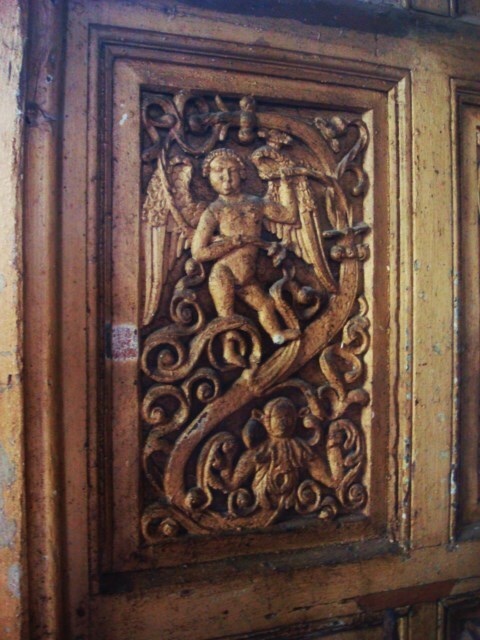 Dr Todd Gray is Research Fellow at Exeter University; his lecture explores the use of design, principally Gothic and Renaissance, by English and continental craftsmen amidst the changing religious considerations of the sixteenth and early seventeenth centuries. The lecture will be held at the Geffrye Museum London and the cost is £10 to members.